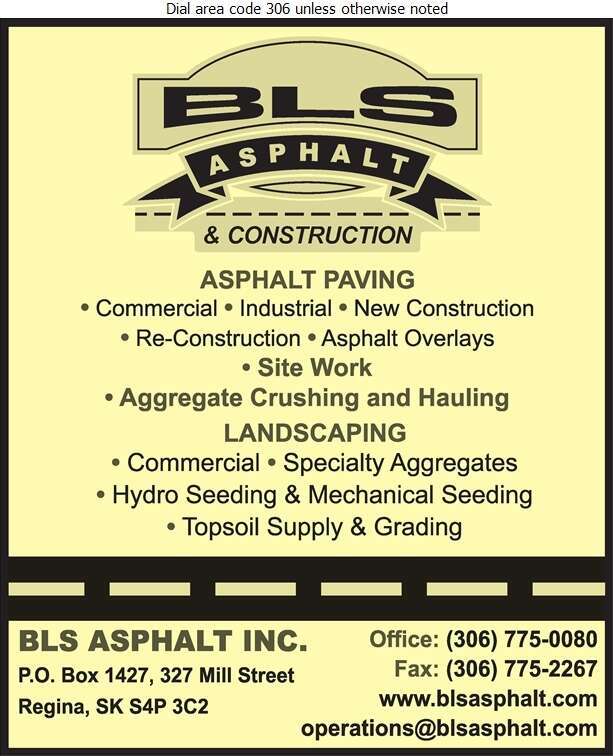 BLS Asphalt & Construction is a Regina-based paving contractor, specializing in commercial parking lot construction and residential asphalt driveways. With 30 years of experience, the company offers quality and professional work. Throughout the year, we perform commercial site development, granular base installation, aggregate crushing and hauling, and landscape construction on a contract basis. During winter months, the company offers snow removal and salt sanding services. BLS Asphalt & Construction is a Better Business Bureau accredited business, and currently maintains A+ rating. Please call us at 306-775-0080 for further inquiries and estimates!